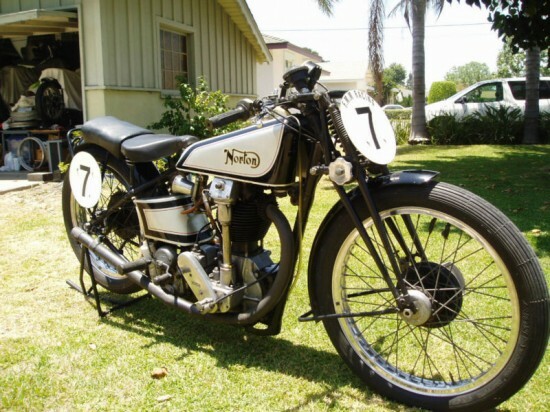 The Winning way was a tag line that Norton used before World War II when describing what it was like to ride a Norton. (#thewinningway?) 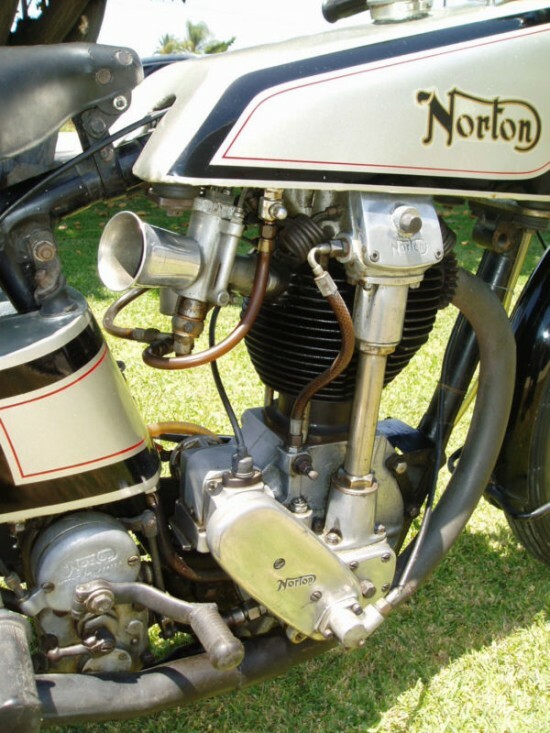 This 1934 Norton International would be the machine that backed up the words used by the advertising department. Lucky number 7 has been in my collection for 10+ years and is one of those machines that I thought I would never sell (and maybe still wont, depending on you). 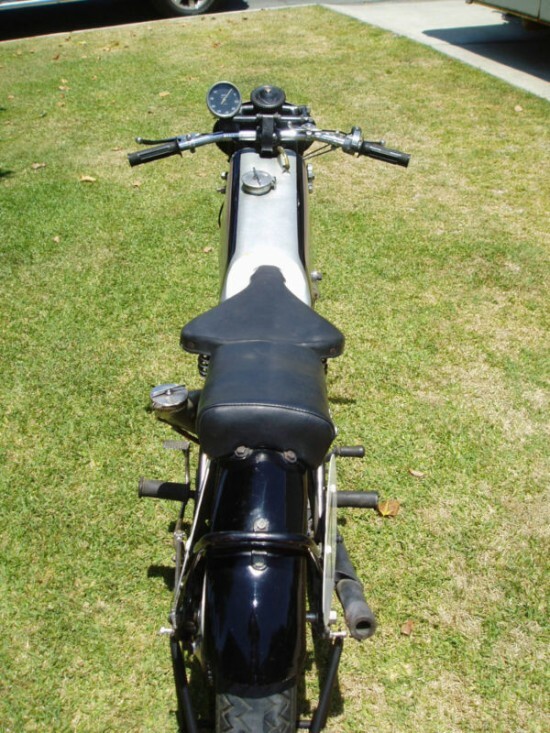 It is a 500cc OHC single racer. I have never tried to start it, as I do not know if it ran on bean or mineral oil… I bought it because of the shear beauty of an as raced “real” classic racer. This bike was sold out of a collection from Japan at an auction at the Peterson Automotive Museum in 1996. It’s hard not to comment on bikes as static displays, so I won’t. 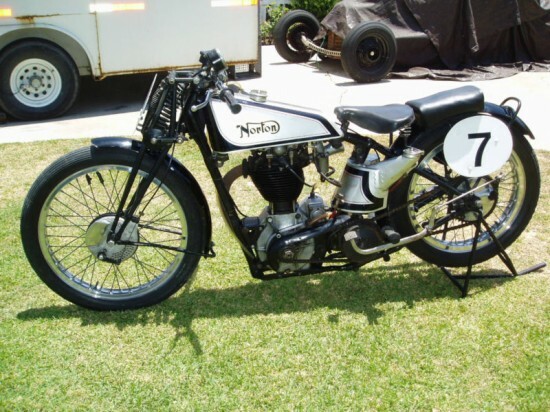 What the buyer is getting is a factory racer developed in 1931 by Norton under supervision by the race department head Joe Craig. 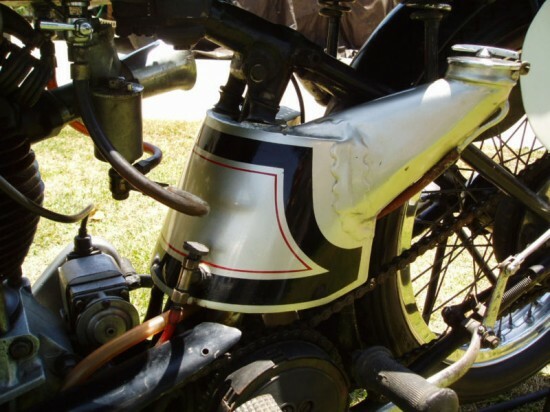 It was based upon the earlier CS1 which had been designed by recently departed Arthur Carroll (off the NSU in Germany) The overhead cam engine was driven by gear and bevel, with exposed valve train. It is, as I said above in as raced condition, no problems known but with a great patina. Maybe more realistically it is in better shape than many racers I see as there are no signs of keeping it together haphazardly. Some of the special features: drilled and scooped front brake plate, custom made steel (from what I can tell) sprint petrol tank, Dunlop rubber seat, Andre dampener, Smiths 8K clock and drive, 21” Dunlop alloy front and 19 Borrani rear, GP carbie, BTH mag, Manx oil tank and Tomacelli quick pull throttle. If you want to start your vintage racing career, oil and gas lines and tires should be replaced.